Hi friends! 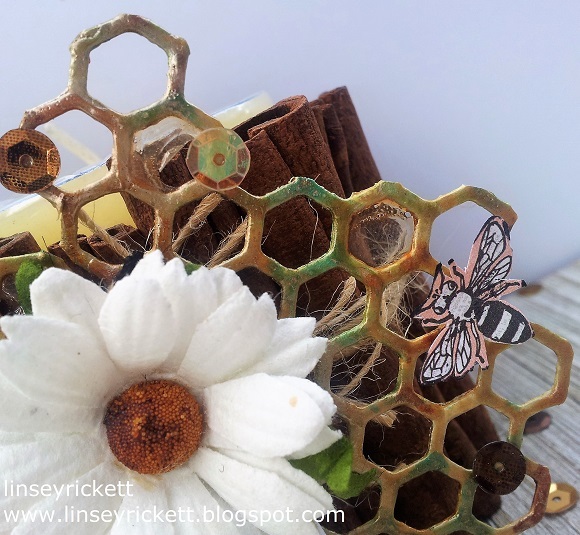 Linsey here today sharing my latest project using some of Craftwell's awesome tools! I haven't created a mixed media project is some time and I when I received the Teresa Collins Honeycomb Project Die, I instantly envisioned altering it with inks and sprays and transforming it into a unique and special piece. 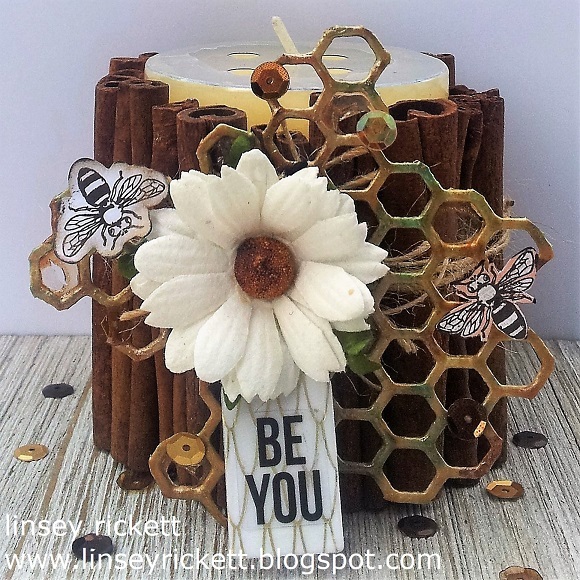 I hope you enjoy and find a bit of inspiration in my mixed media honeycomb candle holder! I used the Teresa Collins Honeycomb Project Die with the Cut'n'Boss machine to cut my material, a piece of cereal box cardboard. After cut, I painted it with a few layers of white gesso, then got busy layering color into the honeycomb. I tried to use natural colors like browns, golds and even yellow. I added a hint of light turquoise for good measure, then brushed over the whole piece with a gold shimmer TC ink. 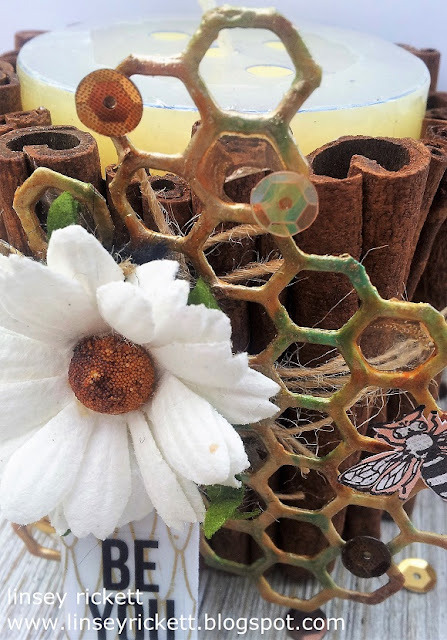 The candle holder itself is simply cinnamon sticks glued together around a stripe of cardstock wrapped around a candle. The front is decorated additionally with a Mulberry Paper Chrysanthemum, a couple bees buzzing around and some golden-toned sequins. I finished it off with a cute mini tag using the Teresa Collins Tabs & Tags Project Dies and tied to the front of the candle holder. And that's all for me! Thanks so much for stopping by today and letting me share my project with you! Until next time, happy crafting!